Counties and cities in southeast Michigan have used concrete pavements for nearly 100 years. 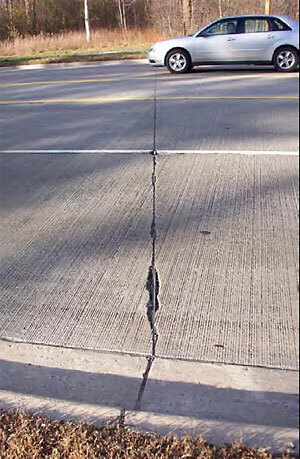 Issues of concrete durability have arisen with some pavements built after 1990. The CP Tech Center evaluated the causes of distress and offered recommendations for improvements. Of particular concern were the roles of the air entrainment system in the hardened concrete, alkali-silica reactivity, and the impact of coarse aggregate type (limestone or blast furnace slag) on the joint deterioration distresses that were observed.